#PubPriBridge cofounders Peter Gow, Laura Robertson, and Chris Thinnes were grateful to be joined by SCDS Head of School Dr. Brad Weaver to facilitate a #PubPriBridge-inspired session at the Private Schools with Public Purpose conference in San Francisco. More information about the #PSPP15 session is available here; slides outlining the framework of our presentation, and our provocations for dialogue with participants, are embedded below (or at http://bit.ly/PSPP-Pres). Thursday evening 250 educators took some of their precious summer break time and joined together for the third installment of edcamphome. Excited by the opportunity to learn from some of the biggest names in the twitterverse including #geniushour advocate and all around all star Joy Kirr, and share in the contagious enthusiasm of the four google ninjas who have enabled some of the best free pd available Kelly Kermode, Shawn White, David Theriault, Karl Lindgren-Streicher, teachers and administrators from all across the USA and even some from other parts of the world braved the uncertainty of technological challenges to make this wonderful unconference happen. At 7 pm EDT, we gathered to watch the amazing organizers troubleshoot and share some #eduwins while things were getting started. I was able to share about the wonderful opportunity I have had to collaborate with Peter Gow and Chris Thinnes in the creation of #pubpribridge, a twitter chat that aims to create a healthy dialog and productive partnerships between educators in different sectors of American education, an opportunity that occurred because of a session at #edcamphome 2.0. You can watch the live feed on the Edcamphome page. Watching Kelly Kermode get the scripts that enabled her to send us off to 30+ sessions was definitely awe inspiring, and the humor and genuine joy of our fearless leaders definitely helped keep every one in good humor. Sessions were offered on topics as wide ranging as Google Hangouts, Digital Citizenship,, Flipped PD, and Creating Better Teacher/Parent Partnerships, Planning an Edcamp, Tightwad Tech, and Starting the 1:1 Journey. The second session found me in Genius Hour with Joy Kirr, Cara Cahill, Jeneen Hill, Sheryl Place, and @Megmagwire. Coming from all different places and teaching seemingly all ages, we were able to share best practices, concerns, and get some pertinent questions answered. Probably the biggest take away for me was Joy’s response to a question about how to present Genius Hour to faculty concerned about “losing” time to teach curriculum. She was able to show how her students are able to master the skills of her curriculum through pursuing their passions, and while not all of her students projects were necessarily on topic, most addressed at least one core part of her skill progression whether it was writing, reading, or public speaking. It was also refreshing to see how many different forms “genius hour” takes. For example, our class which allows students to choose their own research topics definitely utilizes the same approach. Basically, Genius hour is about giving students voice and choice in their own learning, and that is something we can all use in our classes whether we are teaching kindergartners or seniors in high school. It was a great reminder of the power of student ownership. So in an era when headlines seem to too frequently sing the death knell of American education, movements like Edcamphome and the wonderful educators taking ownership of their own professional development through tools like twitter demonstrate that the future of American education is brilliantly bright. Edcamphome demonstrated again that the calling that is teaching is alive and well in America because there are so many teachers motivated to be better, to learn more, to share with others and who are above all armed with the knowledge that we are in fact all #bettertogether. I am so grateful for the reminder and the continuing inspiration. I very much look forward to #edcamphome 4.0. It has been far to long since I have had the time to blog. This spring has been increasingly busy as I have prepared to take on a new role as the 7-12 Humanities Chair at St. Anne’s-Belfield school. Over the next few years, we will integrate our traditional English, history and religion courses into new humanities courses modeled in part on the approach of our American Studies class. This is an exciting and challenging time for all of us as we look to build courses that have few models and integrate a variety of different types of texts and pedagogies which we hope will benefit our students as we make more transparent the interconnectedness of history, literature, the arts, and the wisdom traditions. I will be writing much more about that in the coming weeks and months. In preparation for this move, many of us are participating in a week long professional development opportunity offered at our school and crafted by Alan November which is the true subject of this post. Among the materials provided to help us prepare was Alan’s 2011 Ted Talk about the virtues of giving students authentic, purposeful work. In my own learning I have had the privilege of studying at institutions that prioritize authentic student contributions to the intellectual world. I am a graduate of the Francis W. Parker school in Chicago, Illinois, a school modeled on the philosophies of Parker and John Dewey, and where learning by doing happens in every classroom from preschool through 12th. Based on the principle that “ideal citizenship demands for the individual the highest degree of knowledge, power, skill and service,” a Parker education is one that prioritizes student voice from the wholly student run student government to the yearly student run county fair fundraiser 9th grade students take center stage as the logistical organizers and juniors and seniors compete over who raises the most money, and fifth graders act as guides. Not surprisingly, I looked for the opportunity to again learn by doing as I moved on to higher education. The American Studies Program at the University of Virginia was a study in authentic and purposeful learning. 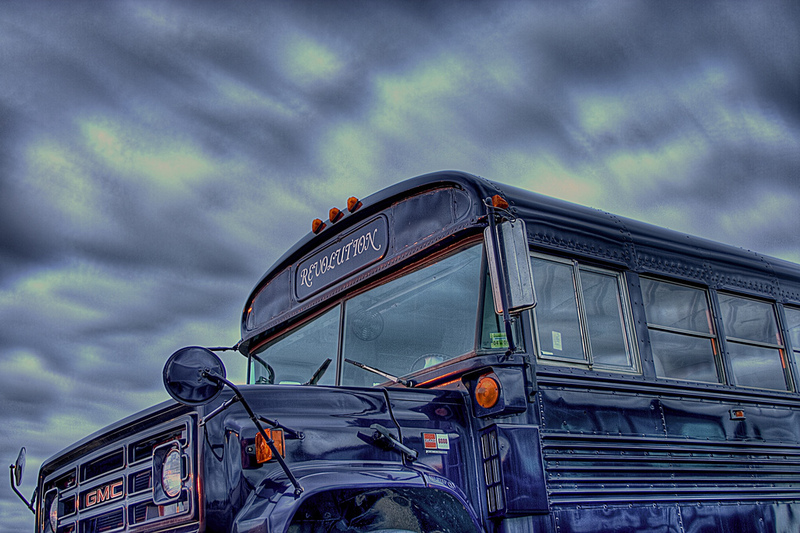 All undergraduate and masters level American Studies students were not only invited, but required to contribute to the noteworthy xroads website. Even as as third years in college we were engaged in the authentic tasks of creating e-texts and e-projects that scholars used and continue to use today. In my own teaching, my team and I have sought different way to engage students in this kind of learning. Whether it was the creation of an artifact project where students made websites based on artifacts from the University of Virginia’s special collection, the use of Peerwise where students write multiple choice questions for themselves and each other to practice mastering the content that would be tested on the APUSH test, or the requirement that students create and craft their own blogs, we have attempted to engage our students in purposeful work. With an entire week devoted to the development of these kind of projects, I am confident that we will work on creating even more purposeful assignments. Anyone who has been in the classroom for any length of time understands that students do best when they are invested and take ownership of their own education. With a literal plethora of resources at their fingertips, never has the time been more ripe for student driven learning. Yet, those of us who have been engaged in this kind of teaching also know that students need to be held to high standards and that just having an authentic task doesn’t necessarily lead to students doing their best work. In fact, the web is laden with examples of poorly executed student projects complete with typos, factual inaccuracies, and sloppy work. The challenges facing us as teachers are exacerbated as kids become increasingly comfortable online and see the web not as a place of work. Student’s fluency with social media, reliance on text messaging and the inherent lingo of these platforms makes it more difficult for students see the differences between online audiences. With my own students, I have found that their writing on the blog is often less well edited than any paper they would submit. I have seen them make the mistake of spending tons of time playing with the layout of a website or blog, and spending an inadequate amount of time creating the content. They sometimes struggle to see their work for a public audience as demanding not an equal amount of effort, but in fact an increase in their dedication to the creation of their final product. Just because they have an authentic audience or task, therefore, doesn’t mean that they understand or address the expectations of that audience. I believe we have reached a point in our desire for authentic, purposeful student voice where we must ask ourselves how we make sure that voice is not only heard, but articulate. We must expect our students to be engaged in doing purposeful work, but we must also demand that that work be of the highest quality. We must teach our students that what they say and put out into the world matters, and also that how they say it matters just as much. We must teach them to be models of intellectual inquiry and excellence so that their voice doesn’t become part of the sea of voices muddling the world wide web. The snow day has allowed some time for me to get back to this blog and post about four useful tools we use with our American Studies students. In a world where edtech tools for science and math dominate, the beauty of these tools is their utility in the humanities classroom. 1. Edublogs: After using WordPress last year, we made the switch to Edublogs this year because of the easy interface and ability to easily provide each student with their own blog that links to our blog. We use our blog to post assignments, provide links, and also as a platform for students to publish their work. Although this is still a work in progress and we don’t feel we have mastered the use of blogging in our classroom, we have had a much greater degree of success because of this tool. Students feel more ownership over the process, and we have found it far easier to assess individual blogs. I highly recommend taking at look at edublogs if you are looking for an easy to use platform for students, especially high school students. I have also created a blog for my ESL History students which you can locate here. 2. Peerwise: Every year we have a sizable group of students who prepare to take the AP US History Exam out of our course, and we have found this tool invaluable. Peerwise:, created by Professors at the University of Aukland, is a free tool that allows teachers to create classes where students create, answer, and discuss multiple choice questions. Taking a social media approach, students can rate questions, earn badges, and compete for slots on the leader board. This is the third year we have used Peerwise:, and we have had a tremendous amount of success using this tool because it enables students not only to practice multiple choice, but also provides for seamless review as each question must also have an explanation. It is also incredibly helpful for students to learn how to write multiple choice questions. While many schools are using Peerwise:, it is still quite easy to sign up for a school account and the people handling support are incredibly helpful and readily available. 3: Prism– Although I did post on this tool last summer, I hadn’t really had time to play with it until this fall. Prism is a a tool that allows for the “crowdsourcing” of interpretation. You can create a Prism from any text and then provide three attributes for students to identify in the text. Students provide an interpretation of the text by highlighting words to fit each of the attributes which contributes to the generation of two different visualizations one based on size and another one based on color coding. For example, this fall while reading the Autobiography of Frederick Douglass we worked on mastering and identifying different rhetorical devices. I created a Prism based on a significant passage and then allowed students to highlight which passages represented the different devices. Prism provides endless possibilities for use in the humanities classroom, and in fact one of the best exercises is for students to create their own Prisms and set their own attributes, and then share them with their peers. 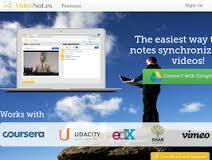 Video.notes allows students to take notes on youtube videos and save them directly to their google drive. In the age of the “flipped classroom” this tool provides students with the ability to take notes in real time and the notes are synced with the time of the film so it is easy for students to navigate. We use documentaries frequently in our class as a method of content delivery, and this tool allows us to view students notes not only as a mechanism for holding them accountable, but also as a way of assessing their note taking skills. Our ESL students have found this tool especially valuable as they are able to review significant moments from the films easily. Here is an example that I created to introduce our students to this tool in conjunction with our study of the Spanish American War using the film Crucible of Empire. I look forward to using Videonot.es during our Civil Rights unit when at home viewing of Eyes on the Prize provides our students with the majority of content. Every summer as the school year ends, my children and I enter our favorite time of the year. A time defined by early morning swim practices, necessary cups of coffee poolside with toddlers hanging about, and endless Wednesday night meets often delayed by thunderstorms. Despite the heat, the frenetic pace of our mornings as I squeeze three sleepy swimmers and one toddler into their swim suits, and the hours spent standing on pavement holding a stop watch, our summers at the Key West Swim club by far the finest investment I’ve made in my children’s extracurricular life. Some of my best moments as a parent have occurred as I’ve watched my three oldest children progress from non-swimmers who barely made it half way down the pool into confident athletes who fearlessly dive into the olympic size pool at the University of Virginia at the end of the season. As I witnessed the transformation of our third child this year as she went from swimming every race including free style on her back to a confident swimmer of two strokes, I realized that what I love about this experience is not only the pride I get as a parent, but the inspiration I find as a teacher. Really everything I believe we need to know about teaching I get to see lived every day as our magnificent coaches work with a wide range of student swimmers. So what did I see? I saw children of all ages and abilities being taught by coaches who were able to differentiate their instruction and reach every level of swimmer. I watched in wonder as every child became known for their strengths and weaknesses, and were encouraged to do their best. Miraculously, or perhaps not so miraculously, because of these relationships between the teachers and the students, every child learned to swim to the best of their ability. I saw coaches who were willing to jump in and get right beside their learners to show them a stroke when telling them just wasn’t good enough. I watched as our coaches gave constructive criticism with the kind of positive tone that always allowed the child to retain his or her dignity and believe they could and would do better. I witnessed the virtue of expert teachers as one of the reasons our coaches are so incredibly successful is that they really know what they are talking about. In an age when we seem to underrate the value of having experts in classrooms, swim team is an excellent example of why masters are able to provide the best instruction. I cannot imagine having a teacher who couldn’t swim teach my five year old how to stay afloat. We should remember that as we hear from various “experts” and consultants about how a good teacher can teach anything and how being an authority in the field of one’s class really isn’t that important. I looked on as individuals became team mates and friends who supported and looked out for one and other, and who modeled excellent sportsmanship and teamwork because that was the standard of behavior demanded of them. I saw everything that I hope to see everyday in my classes. I saw engaged, enthusiastic learners who realize that their individual progress is important, but that the team is what really matters. I saw children who knew that what they did, how hard they worked, the attitude they exhibited mattered not just to their parents, but to everyone involved. And ultimately, I saw how sometimes, as the picture above of our five year old getting ready to dive into the deepest pool of her life suggests, when things are a bit scary having someone to hold your hand is really all you need. So really everything I need to know about teaching, I get to see every day in swim team. I am so glad to be back at school, but I am already counting the days until the pool opens next summer. Good night and happy new year!